One way can be learned by starting to see the magic in everything. Sometimes it seems to be hiding but it is always there. 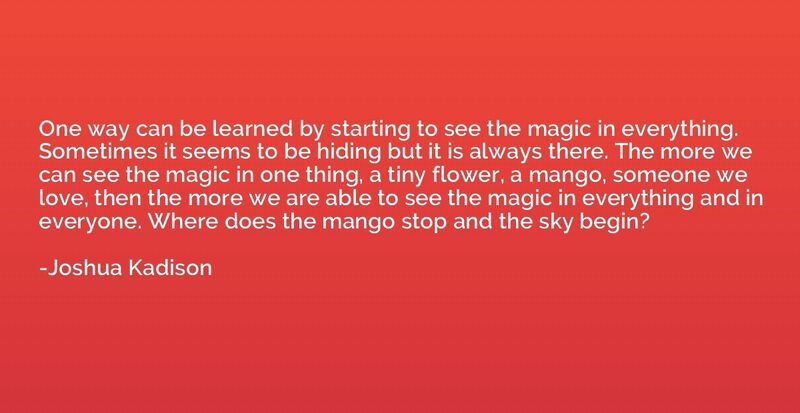 The more we can see the magic in one thing, a tiny flower, a mango, someone we love, then the more we are able to see the magic in everything and in everyone. Where does the mango stop and the sky begin?